Mrs. Aguayo concentrates her professional practice in Corporate and Commercial Law, Contracts, Cross-Border Transactions, Tax Law and Labor Law. She has advised a broad range of local and foreign clients in her areas of practice regarding different industries. 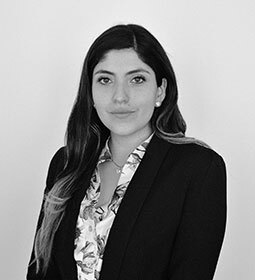 Mrs. Aguayo has been involved in several academic activities at Universidad del Desarrollo Law School and has participated in different publications concerning her areas of expertise. Estudio Jurídico Montoya & Compañía. J.D., Universidad del Desarrollo, 2013. Advance Diploma in Labor Law, Universidad del Desarrollo, 2008. LL.M. in Corporate Law, Pontificia Universidad Católica de Chile, 2017.